As we get further along in this series on our adversary, Satan, I realize that some of this week’s subject material may be scary to the average reader. However, I feel there is a great service to be provided in helping people realize the spiritual dangers that are present in our world, seen or not. And so today, in addition to sharing one of my own experiences of satanic attack in this spiritual battle, I also share with you a letter from a reader in England. Her story is particularly chilling, but should be taken seriously. One of the biggest errors of our time is to downplay the truth of the existence of evil spiritual beings – to the point of outright denying that they exist. This has been a large part of their game plan! This has left many open to spiritual danger as many are unaware of the forces that can be unleased by dabbling in occult and New Age practices. I direct the reader to an eminent expert (if there can be such a thing in this physical world where we are dealing with unseen, spiritual forces), Father Joe Kane, and his book “Your Light Shines in My Darkness“. Father Kane’s expertise is a result of many years working as an exorcist in the Catholic Church, particularly in Peru. It has been the ministry of exorcists in the Catholic Church to help people who have unwittingly, or even voluntarily, come under the influence of demonic presence. For anyone who feels they have a situation that requires intervention, it would be prudent to contact your local Catholic Church. My Dream of October 31, 2003 (Hallowe’en!) approx 6:30 a.m. I dreamt I was lying on my bed sleeping (as of course I was). All of a sudden a demon/devil tried to enter my body physically and my body was jerked from the legs up to the hips and it was almost as if it were trying to pull me off the bed. The demon/devil was an unseen force, but a powerful one that I instantly recognized for what it was. My upper body was the only part left lying on the bed, while my lower body from the hips down were suspended at an awkward approximate 45 degree angle off the bed (I sleep on the right side). I was slightly agitated, but immediately said the Hail Mary three times and blessed myself with the sign of the cross (I did this in my head because I could not move or speak). The demon left my body and I fell back onto the bed. After speaking these words to me he shot straight up to heaven like an arrow. This was, of course, a scary experience – even in the dream state. I have been blessed, though, to also see the profoundly powerful forces of good, such as the angel in the above dream, that we have as protection. As I have mentioned before, I believe these attacks particularly escalated in my case because of the work (this website) that I would be doing for God. As this entire website is to help all in the spiritual journey, I must reiterate that I do not share these things to focus on Satan, but rather to be of aid to an increasingly secular society that through occult exposure and New Age practices, may be opening themselves up to spiritual danger. As an example of this, I offer the following letter from a reader in England for your discernment. Even though it is not pleasant to acknowledge that stories like this one can be real, I think it is prudent to pay heed to her witness. I haven’t read your blogs in great depth but I did want to comment as I have had some similar types of experiences and, as you say, it is difficult to convey certain things without being thought of as ‘mad’ or ‘deluded’ or with some hidden, self-serving agenda of trying to ‘convert’ someone. While I am aware of the links between enhanced spiritual perception and some mental illnesses, I have never been diagnosed with schizophrenia or anything like it. I do a pressurised full-time job and I hold a masters degree from Oxford University, yet I find I have to hide such a huge part of myself from the world, which sees on the surface of me a ‘normal’ ‘attractive’, relatively ’successful’ person…..not some fruitcake who sees angels and demons. But I do; and a lot more besides. I have some truly wonderful friends but it is hard for me to get to know people because my experiences throughout my life (I’m now 34) are so far removed from that of the typical person in England. My earliest living memory was of a terrifying malevolent force which attacked me while I was a tiny child – even a baby – and every single dream I had until the age of 16 was of this entity. Otherwise life passed pretty much at normal, until I left home as soon as I possibly could to escape what I now know for sure is a badly haunted house. Had I been religious or had a religious upbringing I might have known how to deal with it (editor’s emphasis), but my parents were very liberal and I didn’t know a thing about religion, apart from the fact that I’d been baptised a Christian (the one time I was taken to church as a child). I did, however, end up dabbling in the occult, like a lot of kids do, perhaps because of the succubus-like force that preyed upon me. In the twinkling of an eye the demon was banished completely and I was sitting up in bed thinking, Christ, I need to see a priest. I slept well that night but the next day I did something I’d never done before and tried to find our college chaplain. As it happens, he was not in, but I had set my foot on a path that I would never stray from, with Christ as a seal on my heart. I fell in love for the first time as this was happening, a fact which I am certain made it possible for me to comprehend the meaning of the life of Jesus Christ, as I simply did not understand before – I was closed. Being ‘converted’ or ‘initiated’, or whatever, was akin to being turned inside out in a split second (I quite literally saw the light and that was it, my life was transformed). Over the next few months I did not just have ‘visions’ or ‘dreams’, I had what might be called an ‘enlightenment’ or ‘revelation’, in which all kinds of things about various world religions were ’shown’ to me. Strange things that I did not understand. I just noted (I kept very detailed records of it all so I wouldn’t forget). A vision of the Holy Trinity that I later realised was connected with the hebrew letter Shin; spinning like a Sufi, a profound comprehension of the sorrowful and passionate mysteries of Christ….the list went on and on, the visions didn’t stop for 3 and a half months. This was in 1996. During this time I interacted with a being that I could not see but which was clearly there and could affect me in a physical way. At the time I saw it as being God/the Holy Spirit and it is impossible to describe the experience properly in a message like this…..I”m sure you can imagine. I spent the next 10 years trying to make sense of what happened (the visions/enlightenment faded after that initial time, leaving me feeling bereft). You could say that I spent almost every minute of every day of that time praying. I had made a promise that even though I knew the Holy Spirit had to leave me (as it does everyone at some point) (editor’s note: I believe Charlotte is referring to the diminished sense of the presence of God, as I experienced this myself after my initial conversion – I could tangibly feel God every moment for several months and felt like I was walking on a cloud of love, but gradually my sensible awareness of His presence was taken away – back to normal life if you will! ), I would be ready and waiting in case I was ever called again. In 2006 I fell in love for the second time and by the middle of last year I could no longer deny that I was being called again. I left my job as I could no longer concentrate and knew that my commitment was about to be tested. I think that a lot of religiously conscious people experienced something similar last year, as if we were all being called to unite in prayer to avert grave danger in the world. Whether anyone knows the full story of how and why, I’m not sure. The point I am finally getting around to is with regards to the discernment of spirits and the necessity of having to ‘face up to’ the devil and trample the beast underfoot. I would have considered myself to have about as much faith in God as it is humanly possible to have, for the simple reason that I had enough proof to convince myself (if no-one else) that God not only existed, but loved me enough to save me, despite the fact that I lived a pretty sinful existence, I guess, by many standards. Nevertheless, what I saw and experienced of the ’spiritual realm’ between July 2008 and about April of this year almost blew me apart and I got to the point where I totally lost faith in my own ability to discern between an angel and a demon. It is a very, very sad fact of life on Earth, that the enemy does not always appear as a horrendous or obviously terrifying presence that any reasonably sane person would wish to avoid. The most insidious, dangerous beast that there is can appear to be more beautiful than any figment of the imagination, and can inspire feelings of tenderness, joy, even love….by deception. With me I became so weakened and afraid that I decided to shut down my spiritual sight so that I could not be led astray. I felt devastated, as if somehow I’d sacrificed my allegiance to Christ by allowing myself to be deceived. It is hard to explain to somebody who does not believe how this can feel, but I’m sure you will understand. This writing is but a sampling of varied spiritual attack by the enemy in this spiritual battle – a battle many do not realize they are engaged in, in one way or another. 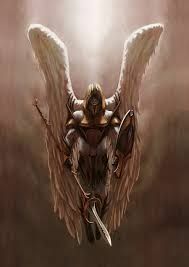 I have said it before and I will say it again: Our defence in this battle is the infinitely more powerful side of good: God, Jesus, holy angels -particularly St. Michael, the archangel, Mary and the many prayers and devotions handed down, particularly through the bible and the Catholic Church. After a summer hiatus it is time for me to continue the series, The Face of Satan. As promised, this series is unfolding as I experienced it chronologically, highlighting the many ways our adversary attempts to stop our attempts to grow in holiness and serve God and others. One of the experiences I share this week illustrates the all-out frontal attack Satan launches at a soul that has stepped out of his grasp and has chosen to serve God. I dreamed I was lying in my bed (which of course I was!). I was awake and looked up. Satan was hovering over me screaming obscenities and launching continuous verbal tirade at me. Let not a soul think that it is able to generate this peace itself. God then showed me what I am of myself when he removes this protection – intense fear envelops the soul. He showed me this to demonstrate that no soul should ever grow boastful or proud that it is courageously able to serve God without fear. All these blessings come from God. As you can imagine, I had begun to wonder at this point why I was experiencing so much satanic attack. It is true that Satan wishes to ensnare all people, but he especially wishes to stop souls who have been called to serve God in the dramatic ways needed today when the world is full of so much evil and so many people are suffering from it. Now that this website has been established and I am well into this – what you could call an expose – on Satan, I realize he was probably hell-bent (excuse the pun) on stopping me. Dreamed God lit up a sign in my staircase (that was somehow like an escalator) that was so bright it lit up the entire room/area. I was in a large, dark old home and it was mine in the dream, but not mine in real life. 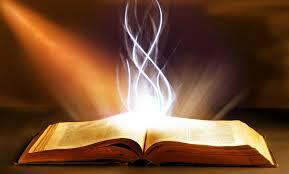 Then, before my friend could read the letters/message, God extinguished the light. The darkness seemed so much greater than before now and I was so upset that I could not read the message and now it had been extinguished. I said to my friend with sadness, but resignation, “God keeps us in such great darkness.” At this point I was walking toward the cloakroom in the front lobby of this home. I said to her, shaking my head “I don’t know why He keeps us in such great darkness, but I trust Him and I will keep walking in darkness if that is what He wants”. I was so upset and disappointed that I had been unable to read the letters/message, because I love Him so much and am so eager for anything of Him and Jesus and Heaven because I miss it so much (because of the many things I’d been experiencing). I felt especially upset with myself because the message was burning there for a time for me to read and I could not and felt it was my own inadequacy and fault. SO THAT THOU SHALT NOT SUFFER BECAUSE OF THE FINITENESS OF YOUR MIND (and here was communicated to me something about my inability because of this finiteness), I SHALL ILLUMINE YOU TO READ MY WORD/LETTERS (not sure which) AND KNOW MY MESSAGE! There are no words to describe this encounter with God. His voice sounded like talking thunder and each word sounded like the stomp of a giant’s footstep on the earth. I trembled for quite a while after I awoke from this dream and cannot convey just how humiliating this experience of my smallness was. Tuesday, September 30, 2003 approx 5:30 a.m.
Satan tried to deceive me in a dream after the last one – pretending he was God speaking to me. It was a long convoluted and mostly unmemorable dream of him trying to get me to follow him on the pretext that he was God and would speak to me. He led me into a room and changed into an image that he knew would tempt me (regarding the purpose of a certain suffering) and as he stood in the corner he said I could ask him any question and he would answer me. I was tempted, but trusted God and so I did not ask. I don’t think I asked any questions. 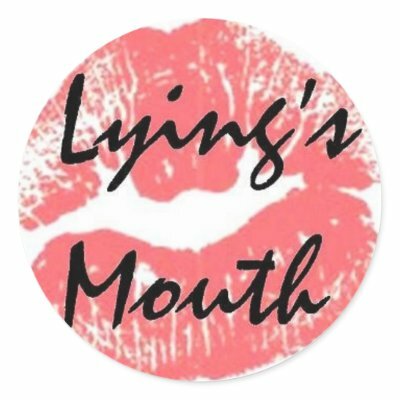 Then he changed shape and became like a large lying mouth entity of some sort (I literally saw a picture of a sideways (lying) mouth) that spoke to me very weakly – so weakly he was whispering and I could hardly hear him. I became suspicious at this point and started to recite the prayer to discern spirits. He changed shape again and stood in front of me this time in the shape of a human. I rose up against him with great immediacy, strength, purpose and firmness (mostly calm) and recited the prayer to discern spirits. I mixed it up a little and had to repeat it because I was somewhat agitated. I blessed myself with the sign of the cross and he disappeared. The bottom line with experiences like this is that Satan will attempt to do whatever it takes to deter a soul from following and serving God, alternating tactics in his attempts to ‘take the soul down’. As I have said before, however, once a soul decides for God, Satan has already lost most of his power. 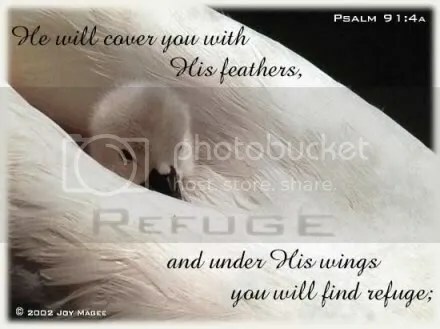 Our strength and protection lie always in God and His son, Jesus. We need to keep in mind that God is infinite and that Satan is a creature – a fallen one at that. He only has the power we give him by being afraid or yielding to him. His temptations are many and it is particularly notable that he has infiltrated much of the media, as seen in the rise of the occult in our broadcasting. Without our realizing it, we are gradually becoming desensitized to the danger of the occult and new age language. However, the Catholic Church, in particular, has a special strength through the seven sacraments because they give us divine grace, which shares in God’s perfection and God’s life.